A big, strong combo forward who has a lot of upside, especially on the defensive end and in the transition game. 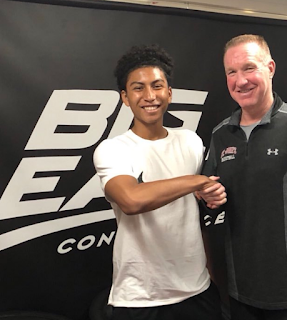 Sekou ranks as the top international prospect in 2019 and he's stated his commitment to enter the 2019 draft. A big run/jump athlete who is dynamic in the open court and has elite defensive potential. Has very good quickness for his size and is a powerful and graceful athlete who is fun to watch in the open court. He projects as a high level defender who can guard multiple positions, from 2-5. If he can reach his defensive potential he'll have a long NBA career, even if his offensive game doesn't develop. The fact that he lists Tony Allen as one of his idols and modals his game after Paul George tells you a lot about his commitment to defense. 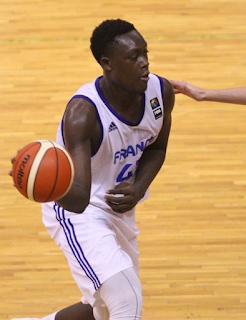 Doumbouya gets a lot of his buckets in transition, where his size and speed make him a match-up nightmare. He changes ends beautifully and has the length and leaping ability to finish over defenders. He is an above average three point shooter at this stage in his career. He shoots it with good fundamentals and gets good arc on his shot. He can create his own offense with the dribble, either taking it into the lane or shaking free for a jumper. He shoots it best off of catch and shoot situations but he can also hit shots off the dribble and on step backs moves. 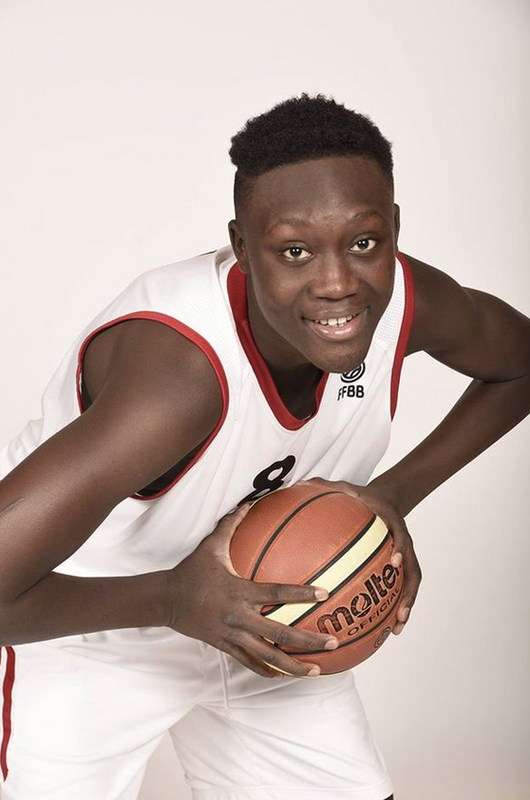 He is developing post moves and has the size and strength to develop into a good post scorer. He can get to the rim off of quick spin moves or give a shoulder fake into a fade-way jumper. At this point his offensive game is very unpolished but he shows flashes of big time ability. He can play bully-ball and overpower the defender, using his size and good handles to power his way to the rim. Sekou has a great NBA frame with strength, length and athleticism, to go along with an advanced skill level for a young player. His upside projection is near the top of the 2019 draft and, at the very least, he projects as a potential lottery. Still learning the game and improving his decision making. Needs to continue to improve his fundamentals: improve his ball handling, especially his off hand, and improve his passing. Has good form but is not yet a consistent three point shooter. Is still raw and inexperienced. Needs to gain a better understanding of the game and learn proper positioning and how to operate within the flow of the offense. Seems like a bigger and more advanced version of OG Anunoby with a slice of Jabari Parker mixed in.